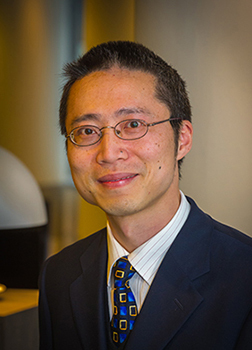 Professor Yang Xiang received his PhD in Computer Science from Deakin University, Australia. He is currently a full professor at School of Information Technology, Deakin University. He is the Director of the Network Security and Computing Lab (NSCLab) and the Associate Head of School (Industry Engagement). His research interests include network and system security, distributed systems, and networking. In particular, he is currently leading his team developing active defense systems against large-scale distributed network attacks. He is the Chief Investigator of several projects in network and system security, funded by the Australian Research Council (ARC). He has published more than 150 research papers in many international journals and conferences, such as IEEE Transactions on Computers, IEEE Transactions on Parallel and Distributed Systems, IEEE Transactions on Information Security and Forensics, and IEEE Journal on Selected Areas in Communications. Two of his papers were selected as the featured articles in the April 2009 and the July 2013 issues of IEEE Transactions on Parallel and Distributed Systems. He has published two books, Software Similarity and Classification (Springer) and Dynamic and Advanced Data Mining for Progressing Technological Development (IGI-Global). He has served as the Program/General Chair for many international conferences such as ICA3PP 12/11, IEEE/IFIP EUC 11, IEEE TrustCom 13/11, IEEE HPCC 10/09, IEEE ICPADS 08, NSS 11/10/09/08/07. He has been the PC member for more than 60 international conferences in distributed systems, networking, and security. He serves as the Associate Editor of IEEE Transactions on Computers, IEEE Transactions on Parallel and Distributed Systems, Security and Communication Networks (Wiley), and the Editor of Journal of Network and Computer Applications. He is the Coordinator, Asia for IEEE Computer Society Technical Committee on Distributed Processing (TCDP). He is a Senior Member of the IEEE. Positions Vacant – If you are interested in Network and System Security and are looking for an supervisor for your PhD, Master, or Honours study, please send me an email with your CV. I am always happy to discuss with you about the research topics and the funding opportunities such as scholarships and teaching assistant positions. If you are looking for PostDoc research fellow or visiting scholar positions, please email me for details. My publications at Google Scholar, at DBLP. Y Wang, S Wen, Y Xiang, and W Zhou, “Modeling the Propagation of Worms in Networks: A Survey”, IEEE Communications Surveys and Tutorials, accepted, in press. S Wen, W Zhou, J Zhang, Y Xiang, W Zhou, W Jia, and C C. Zou,”Modeling and Analysis on the Propagation Dynamics of Modern Email Malware”, IEEE Transactions on Dependable and Secure Computing, accepted, in press. S Wen, M S Haghighi, C Chen, Y Xiang, W Zhou, and W Jia, “A Sword with Two Edges: Propagation Studies on Both Positive and Negative Information in Online Social Networks”, IEEE Transactions on Computers, accepted, in press. S Wen, J Jiang, Y Xiang, S Yu, W Zhou, and W Jia, “To Shut Them up or to Clarify: Restraining the Spread of Rumors in Online Social Networks”, IEEE Transactions on Parallel and Distributed Systems, accepted, in press. S. Wen, J. Jiang, Y. Xiang, S. Yu, and W. Zhou, “Are the Popular Users Always Important for the Information Dissemination in Online Social Networks?”, IEEE Network, accepted, in press. M S Haghighi, Y Xiang, V Varadharajan, and B Quinn, “A Stochastic Time-Domain Model for Burst Data Aggregation in Ieee 802.15.4 Wireless Sensor Networks”, IEEE Transactions on Computers, accepted, in press. S Cesare, Y Xiang, and W Zhou, “Control Flow-Based Malware Variant Detection”, IEEE Transactions on Dependable and Secure Computing, accepted, in press. X Huang, J K. Liu, S Tang, Y Xiang, K Liang, L Xu, and J Zhou, “Cost-Effective Authentic and Anonymous Data Sharing with Forward Security”, IEEE Transactions on Computers, accepted, in press. X Huang, Y Xiang, E Bertino, J Zhou, and L Xu, “Robust Multi-Factor Authentication for Fragile Communications”, IEEE Transactions on Dependable and Secure Computing, accepted, in press. X Huang, X Chen, J Li, Y Xiang, and L Xu, “Further Observations on Smart-Card-Based Password-Authenticated Key Agreement in Distributed Systems”, IEEE Transactions on Parallel and Distributed Systems, accepted, in press. J Li, X Huang, J Li, X Chen, and Y Xiang, “Securely Outsourcing Attribute-Based Encryption with Checkability”, IEEE Transactions on Parallel and Distributed Systems, accepted, in press. S Guo, D Zeng, and Y Xiang, “Chameleon Hashing for Secure and Privacy-Preserving Vehicular Communications”, IEEE Transactions on Parallel and Distributed Systems, accepted, in press. Y Zhang, L Xu, Y Xiang, and X Huang, “A Matrix-Based Pairwise Key Establishment Scheme for Wireless Mesh Networks Using Pre Deployment Knowledge”, IEEE Transactions on Emerging Topics in Computing, accepted, in press. J Chen, K He, R Du, M Zheng, Y Xiang, and Q Yuan, “Dominating Set and Network Coding-Based Routing in Wireless Mesh Networks”, IEEE Transactions on Parallel and Distributed Systems, accepted, in press. Y Wang, Y Xiang, J Zhang, W Zhou, G Wei, and L T Yang, “Internet Traffic Classification Using Constrained Clustering”, IEEE Transactions on Parallel and Distributed Systems, accepted, in press. X Chen, J Li, X Huang, J Li, Y Xiang, and D S. Wong, “Secure Outsourced Attribute-Based Signatures”, IEEE Transactions on Parallel and Distributed Systems, accepted, in press. Y Wang, Y Xiang, J Zhang, W Zhou, and B Xie, “Internet Traffic Clustering with Side Information”, Journal of Computer and System Sciences, accepted, in press. S Wen, D Wu, P Li, Y Xiang, W Zhou, and G Wei, “Detecting Stepping Stones by Abnormal Causality Probability”, Security and Communication Networks, accepted, in press. X Chen, C Chen, J Zhang, Y Xiang, and W Zhou, “A Unified Aggregation Method for Network Traffic Classification”, Concurrency and Computation: Practice and Experience, accepted, in press. W Zhou, S Wen, Y Xiang, W Zhou, and W Jia, “Detection and Defense of Application-Layer Ddos Attacks in Backbone Web Traffic”, Future Generation Computer Systems, accepted, in press. W Z Khan, M Y Aalsalem, M N M Saad, Y Xiang, and T H Luan, “Detecting Replicated Nodes in Wireless Sensor Networks using Random Walks and Network Division”, IEEE WCNC 2014. I Natgunanathan, Y Xiang, T Zong, and Y Xiang, “Robustness Enhancement of Quantization Based Audio Watermarking Method Using Adaptive Safe-Band”, IEEE ICC 2014. J Zhang, Y Xiang, Y Wang, W Zhou, Y Xiang, and Y Guan, “Network Traffic Classification Using Correlation Information”, IEEE Transactions on Parallel and Distributed Systems, vol. 24, no. 1, pp. 104-117, 2013. S Cesare, Y Xiang, and W Zhou, “Malwise – An Effective and Efficient Classification System for Packed and Polymorphic Malware”, IEEE Transactions on Computers, vol. 62, no. 6, pp. 1193-1206, 2013. J Zhang, C Chen, Y Xiang, W Zhou, and Y Xiang, “Internet Traffic Classification by Aggregating Correlated Naive Bayes Predictions”, IEEE Transactions on Information Forensics and Security, vol. 8, no. 1, pp. 5-15, 2013. Y Xiang, D Peng, Y Xiang, and S Guo, “A Novel Z-Domain Precoding Method for Blind Separation of Spatially Correlated Signals”, IEEE Transactions on Neural Networks and Learning Systems, vol. 24, no. 1, pp. 94-105, 2013. Y Xie, S Tang, Y Xiang, and J Hu, “Resisting Web Proxy-based HTTP Attacks by Temporal and Spatial Locality Behavior”, IEEE Transactions on Parallel and Distributed Systems, vol. 24, no. 7, pp. 1401-1410, 2013. W Khan, Y Xiang, M Aalsalem, and Q Arshad, “Mobile Phone Sensing Systems: A Survey”, IEEE Communications Surveys and Tutorials, vol. 15, no. 1, pp. 402-427, 2013. J Zhang, C Chen, Y Xiang, W Zhou, and A V. Vasilakos, “An Effective Network Traffic Classification Method with Unknown Flow Detection”, IEEE Transactions on Network and Service Management, vol. 10, no. 2, pp. 133-147, 2013. S Wen, W Zhou, J Zhang, Y Xiang, W Zhou, and W Jia, “Modeling Propagation Dynamics of Social Network Worms”, IEEE Transactions on Parallel and Distributed Systems, vol. 24, no. 8, pp. 1633-1643, 2013. Y Xie, J Hu, Y Xiang, S Yu, S Tang, and Y Wang, “Modeling Oscillation Behavior of Network Traffic by Nested Hidden Markov Model with Variable State-Duration”, IEEE Transactions on Parallel and Distributed Systems, vol. 24, no. 9, pp. 1807-1817, 2013. J Zhang, Y Xiang, W Zhou, and Y Wang, “Unsupervised Traffic Classification Using Flow Statistical Properties and IP Packet Payload”, Journal of Computer and System Sciences, vol. 79, no. 5, pp. 573-585, 2013. J Zhang, L Ye, Y Xiang, and W Zhou, “Robust Image Retrieval with Hidden Classes”, Computer Vision and Image Understanding, vol. 117, no. 6, pp. 670-679, 2013. W Wu, J Zhou, Y Xiang, and L Xu, “How to Achieve Non-Repudiation of Origin with Privacy Protection in Cloud Computing”, Journal of Computer and System Sciences, vol. 79, no. 8, pp. 1200-1213, 2013. Y Ren, M Li, Y Xiang, Y Cui, and K Sakurai, “Evolution of Cooperation in Reputation System by Group-Based Scheme”, The Journal of Supercomputing, vol. 63, no. 1, pp. 171-190, 2013. S Cesare, Y Xiang and J Zhang, “Clonewise – Detecting Package-level Clones Using Machine Learning”, 9th International Conference on Security and Privacy in Communication Networks (SecureComm 2013). J Zhang, C Chen, Y Xiang, and W Zhou, “Robust Network Traffic Identification with Unknown Applications”, 8th ACM Symposium on Information, Computer and Communications Security (ASIACCS 2013). 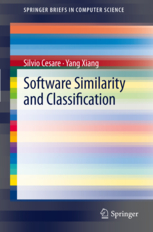 S Cesare, and Y Xiang, “Simseer and Bugwise – Web Services for Binary-level Software Similarity and Defect Detection”, 11th Australasian Symposium on Parallel and Distributed Computing (AusPDC 2013). N Toorchi, M Ahmadian, M S Haghighi, and Y Xiang, “A Markov Model of Safety Message Broadcasting for Vehicular Networks”, 2013 IEEE Wireless Communications and Networking Conference (WCNC). Y Wang, Y Xiang, and J Zhang, “Network Traffic Clustering Using Random Forest Proximities”, IEEE ICC 2013. Y Zhang, L Xu, Y Xiang, and X Huang, “Matrix-based Pairwise Key Establishment in Wireless Mesh Networks Using Deployment Knowledge”, IEEE ICC 2013. I Natgunanathan, Y Xiang, S S. M. Elbadry, W Zhou, and Y Xiang, “Analysis of a Patchwork-Based Audio Watermarking Scheme”, IEEE ICIEA 2013. Sheng Wen, Wei Zhou, Yini Wang, Wanlei Zhou, and Yang Xiang, “Locating Defense Positions for Thwarting the Propagation of Topological Worms”, IEEE Communications Letters, vol. 16, no. 4, pp. 560-563, 2012. Yu Wang, Yang Xiang, Wanlei Zhou, and Shunzheng Yu, “Generating Regular Expression Signatures for Network Traffic Classification in Trusted Network Management”, Journal of Network and Computer Applications, vol. 35, no. 3, pp. 992-1000, 2012. Jun Zhang, Chao Chen, Yang Xiang, and Wanlei Zhou, “Semi-Supervised and Compound Classification of Network Traffic”, International Workshop on Network Forensics, Security and Privacy (NFSP 2012), 2012. Yu Wang, Yang Xiang, Jun Zhang, and Shunzheng Yu, “Internet Traffic Clustering with Constraints”, The 3rd International Workshop on TRaffic Analysis and Classification (TRAC 2012), 2012. Jun Zhang, Chao Chen, Yang Xiang, and Wanlei Zhou, “Classification of Correlated Internet Traffic Flows”, The 11th IEEE International Conference on Trust, Security and Privacy in Computing and Communications (TrustCom-2012), 2012. Wei Zhou, Sheng Wen, Yini Wang, Yang Xiang, and Wanlei Zhou, “An Analytical Model on the Propagation of Modern Email Worms”, The 11th IEEE International Conference on Trust, Security and Privacy in Computing and Communications (TrustCom-2012), 2012. Silvio Cesare, and Yang Xiang, “Wire – A Formal Intermediate Language for Binary Analysis”, The 11th IEEE International Conference on Trust, Security and Privacy in Computing and Communications (TrustCom-2012), 2012. Xinyi Huang, Yang Xiang, Ashley Chonka, Jianying Zhou, and Robert H. Deng, “A Generic Framework for Three-Factor Authentication: Preserving Security and Privacy in Distributed Systems”, IEEE Transactions on Parallel and Distributed Systems, vol. 22, no. 8, pp. 1390-1397, 2011. Yang Xiang, Ke Li, and Wanlei Zhou, “Low-Rate DDoS Attacks Detection and Traceback by Using New Information Metrics”, IEEE Transactions on Information Forensics and Security, vol. 6, no. 2, pp. 426-437, 2011. Xinyi Huang, Yi Mu, Willy Susilo, Wei Wu, and Yang Xiang, “Optimistic Fair Exchange with Strong Resolution-Ambiguity”, IEEE Journal on Selected Areas in Communications, vol. 29, no. 7, pp. 1491-1502, 2011. Yini Wang, Sheng Wen, Silvio Cesare, Wanlei Zhou, and Yang Xiang, “Eliminating Errors in Worm Propagation Models”, IEEE Communications Letters, vol. 15, no. 9, pp. 1022-1024, 2011. Yini Wang, Sheng Wen, Silvio Cesare, Wanlei Zhou, and Yang Xiang, “The Microcosmic Model of Worm Propagation”, The Computer Journal, Oxford, vol. 54, no. 10, pp. 1700-1720, 2011. doi:10.1093/comjnl/bxr082. Jun Zhang, Yang Xiang, Wanlei Zhou, Lei Ye, Yi Mu, “Secure Image Retrieval Based on Visual Content and Watermarking Protocol”, The Computer Journal, Oxford, vol. 54, no. 10, pp. 1661-1674, 2011. doi: 10.1093/comjnl/bxr078. Ashley Chonka, Yang Xiang, Wanlei Zhou, and Alessio Bonti, “Cloud Security Defence to Protect Cloud Computing against HTTP-DoS and XML-DoS Attacks”, Journal of Network and Computer Applications, Elsevier, vol. 34, no. 4, pp. 1097-1107, 2011. Wen Tao Zhu, Fei Gao, and Yang Xiang, “A Secure and Efficient Data Aggregation Scheme for Wireless Sensor Networks”, Concurrency and Computation: Practice and Experience, Wiley, vol. 23, no. 12, pp. 1414-1430, 2011. Wen Tao Zhu, Yang Xiang, Jianying Zhou, Robert Deng, and Feng Bao, “Secure Localization with Attack Detection in Wireless Sensor Networks”, International Journal of Information Security, Springer, vol. 10, no. 3, pp. 155-171, 2011. Yongrui Cui, Mingchu Li, Yang Xiang, Yizhi Ren, and Silvio Cesare, “A Quality-of-Service based Fine-grained Reputation System in the Grid Environment”, Concurrency and Computation: Practice and Experience, Wiley, accepted, in press. Sheng Wen, Wei Zhou, Yang Xiang, and Wanlei Zhou, “CAFS: A Novel Lightweight Cache-based Scheme for Large-Scale Intrusion Alert Fusion”, Concurrency and Computation: Practice and Experience, Wiley, accepted, in press. Yu Wang, Yang Xiang, Jun Zhang, and Shunzheng Yu, “A Novel Semi-Supervised Approach for Network Traffic Clustering”, in The 5th International Conference on Network and System Security (NSS 2011), 2011. Yu Wang, Yang Xiang, and Shunzheng Yu, “Internet Traffic Classification Using Machine Learning: A Token-based Approach”, in The 14th IEEE International Conference on Computational Science and Engineering (CSE 2011), 2011. Yini Wang, Sheng Wen, Wanlei Zhou, and Yang Xiang, “Modeling Worms Propagation on Probability”, in The 5th International Conference on Network and System Security (NSS 2011), 2011. Yini Wang, Sheng Wen, Wei Zhou, Wanlei Zhou, and Yang Xiang, “The Probability Model of Peer-to-Peer Botnet Propagation”, in The 11th International Conference on Algorithms and Architectures for Parallel Processing (ICA3PP 2011), 2011. Silvio Cesare, and Yang Xiang, “Malware Variant Detection Using Similarity Search over Sets of Control Flow Graphs”, in The 10th IEEE International Conference on Trust, Security, and Privacy in Computing and Communications (IEEE TrustCom 2011), 2011. Mahbub Ahmed, and Yang Xiang, “Trust Ticket Deployment: A Notion of Data Owner’s Trust in Cloud Computing”, in The 10th IEEE International Conference on Trust, Security, and Privacy in Computing and Communications (IEEE TrustCom 2011), 2011. Yang Xiang, Daxin Tian, and Wanlei Zhou, “A Microscopic Competition Model and Its Dynamics Analysis on Network Attacks”, Concurrency and Computation: Practice and Experience, Wiley, vol. 22, no. 4, pp. 503-517, http://doi.wiley.com/10.1002/cpe.1499, 2010. Yu Wang, Yang Xiang, and Shun-Zheng Yu, “An Automatic Application Signature Construction System for Unknown Traffic”, Concurrency and Computation: Practice and Experience, Wiley, vol. 22, no. 13, pp. 1927-1944, http://doi.wiley.com/10.1002/cpe.1603 2010. Xiang Fan, and Yang Xiang, “Modeling the Propagation of Peer-to-Peer Worms”, Future Generation Computer Systems, Elsevier, vol. 26, no. 8, pp. 1433-1443, 2010. http://dx.doi.org/10.1016/j.future.2010.04.009. Xiang Fan, and Yang Xiang, “Defending against the Propagation of Active Worms”, The Journal of Supercomputing, Springer, vol. 51, no. 2, pp. 167-200, 2010. Sheng Wen, Yang Xiang, and Wanlei Zhou, “A Lightweight Intrusion Alert Fusion System”, 12th IEEE International Conference on High Performance Computing and Communications (HPCC 2010), pp. 695-700, 2010. Laiping Zhao, Yizhi Ren, Yang Xiang, and Kouichi Sakurai, “Fault-Tolerant Scheduling with Dynamic Number of Replicas in Heterogeneous Systems”, 12th IEEE International Conference on High Performance Computing and Communications (HPCC 2010), pp. 434-441, 2010. Mahbub Ahmed, Yang Xiang, and Shawkat Ali, “Above the Trust and Security in Cloud Computing: A Notion towards Innovation”, 6th IEEE/IFIP International Symposium on Trusted Computing and Communications (TrustCom 2010), 2010. Xiang Fan, and Yang Xiang, “Modeling the Propagation of Peer-to-Peer Worms under Quarantine”, IEEE/IFIP 12th Network Operations & Management Symposium (NOMS 2010), IEEE, pp. 942-945, 2010. Silvio Cesare, and Yang Xiang, “Classification of Malware Using Structured Control Flow”, 8th Australasian Symposium on Parallel and Distributed Computing (AusPDC 2010), pp. 61-70, 2010. Silvio Cesare, and Yang Xiang, “A Fast Flowgraph Based Classification System for Packed and Polymorphic Malware on the Endhost”, IEEE 24th International Conference on Advanced Information Networking and Application (AINA 2010), IEEE, pp. 721-728, 2010. Xiang Fan, and Yang Xiang, “Propagation Modeling of Peer-to-Peer Worms”, IEEE 24th International Conference on Advanced Information Networking and Application (AINA 2010), IEEE, pp. 1128-1135, 2010. Yu Wang, Shun-Zheng Yu, and Yang Xiang, “Automatic Application Signature Construction from Unknown Traffic”, IEEE 24th International Conference on Advanced Information Networking and Application (AINA 2010), IEEE, pp. 1115-1120, 2010. Xinyi Huang, Yi Mu, Willy Susilo, Wei Wu, and Yang Xiang, “Further Observations on Optimistic Fair Exchange Protocols in the Multi-user Setting “, 13th International Conference on Practice and Theory in Public Key Cryptography (PKC 2010), Springer, LNCS 6056, pp. 124-141, 2010. Shawkat Ali, Yang Xiang, Dynamic and Advanced Data Mining for Progressing Technological Development, ISBN:978-1-60566-908-3, IGI Global, 2010 [http://www.igi-global.com/bookstore/TitleDetails.aspx?TitleId=283]. Rafiqul Islam, Wanlei Zhou, Minyi Guo, and Yang Xiang, “An Innovative Analyser for Multi-classifier E-mail Classification Based on Grey List Analysis”, Journal of Network and Computer Applications, Elsevier, vol. 32, no. 2, pp. 357-366, 2009. Rafiqul Islam, Wanlei Zhou, Yang Xiang, and Abdun Naser Mahmood, “Spam Filtering for Network Traffic Security on A Multi-core Environment”, Concurrency and Computation: Practice and Experience, Wiley, vol. 21, no. 10, pp. 1307-1320, 2009. Yang Xiang, and Daxin Tian, “Multi-core Supported Deep Packet Inspection”, The Handbook of Research on Scalable Computing Technologies, K.-C. Li, C.-H. Hsu, L. T. Yang et al., eds., pp. 858-873, IGI Global, 2009. Daxin Tian, Yanheng Liu, and Yang Xiang, “Large-scale Network Intrusion Detection Based on Distributed Learning Algorithm”, International Journal of Information Security, Springer, vol. 8, no. 1, pp. 25-35, 2009. Yang Xiang, Xiang Fan, and Wen Tao Zhu, “Propagation of Active Worms: A Survey”, International Journal of Computer Systems Science and Engineering, CRL, vol. 24, no. 2, pp. 157-172, 2009. Wen Tao Zhu, and Yang Xiang, “Argus: A Light-Weighted Secure Localization Scheme for Sensor Networks “, 6th International Conference on Autonomic and Trusted Computing (ATC 2009), Springer, LNCS 5586, pp. 164-178, 2009. Xiang Fan, and Yang Xiang, “Modeling the Propagation Process of Topology-Aware Worms: An Innovative Logic Matrix Formulation”, 6th IFIP International Conference on Network and Parallel Computing (NPC 2009), IEEE, pp. 182-189, 2009. Zhongwen Li, and Yang Xiang, “Checkpointing Schemes for Grid Workflow Systems”, Concurrency and Computation: Practice and Experience, Wiley, vol. 20, no. 15, pp. 1773-1790. Zhongwen Li, Qiong Chen, and Yang Xiang, “A Cross-Authentication Model and Implementation”, International Journal of Computer Systems Science and Engineering, CRL, vol. 23, no. 3, pp. 167-182, 2008. Yang Xiang and Wanlei Zhou, “Using Multi-core Processors to Support Network Security Applications”, 12th IEEE International Workshop on Future Trends of Distributed Computing Systems (FTDCS 2008), IEEE, pp. 213-218, 2008. Xiang Fan and Yang Xiang, “Accelerating Propagation of Active Worms by Employing Multiple Target Discovery Techniques”, 2008 IFIP International Conference on Network and Parallel Computing (NPC 2008), Springer, LNCS 5245, pp. 150-161, 2008. Daxin Tian and Yang Xiang, “A Multi-core Supported Intrusion Detection System”, 2nd IFIP International Workshop on Network and System Security (NSS 2008), IEEE, pp. 50-55, 2008. Xiang Fan and Yang Xiang, “Defending against the Propagation of Active Worms”, 2008 IEEE/IFIP International Symposium on Trust, Security and Privacy for Pervasive Applications (TSP-08), IEEE, pp. 350-355, 2008. Xiang Fan, and Yang Xiang, “Shortening the Slow Start Phase in the Propagation of Active Worms”, The 2008 International Symposium on Computer Science and its Applications, IEEE, 2008. Ashley Chonka, Wanlei Zhou, Yang Xiang, and Jaipal Singh, “Detecting and Tracing DDoS attacks by Intelligent Decision Prototype (IDP)”, IEEE Workshop on Web and Pervasive Security, IEEE, 2008. Ashley Chonka, Wanlei Zhou, and Yang Xiang, “Protecting Web Services with Service Oriented Traceback Architecture”, IEEE 8th International Conference on Computer and Information Technology, IEEE, 2008. Ashley Chonka, Wanlei Zhou, Leanne Ngo, and Yang Xiang, “Ubiquitous Multicore (UM) Methodology for Multimedia”, The 2008 International Symposium on Computer Science and its Applications, IEEE, 2008. Ashley Chonka, Wanlei Zhou, Keith Knapp, and Yang Xiang, “Protecting Information Systems from DDoS Attack Using Multicore Methodology”, IEEE 8th International Conference on Computer and Information Technology, IEEE, 2008. Ashley Chonka, Wanlei Zhou, and Yang Xiang, “Protecting Web Services from DDoS attacks by SOTA”, IEEE 5th International Conference on Information Technology and Applications , IEEE, 2008. General Chair: ICA3PP 2012, IDCS 2012, NPC 2009. Program Chair: TSP 2013, TrustCom 2013, CSS 2012, ICA3PP 2011, TrustCom 2011, EUC 2011, NSS 2010, IEEE HPCC 2010, DMWPC 2010, NSS 2009, IEEE HPCC 2009, IEEE ICPADS 2008, IEEE CSS 2008, IFIP NSS 2008, IPC 2008, IFIP NSS 2007, IFIP NPC 2007. Steering Chair: NSS 2013, NSS 2012. Workshop/Publicity Chair: TrustCom 2012, NSS 2011, IEEE HPCC 2008. Program Committee Member: MoMM 2014, ESORICS 2014, IEEE GLOBECOM 2014, IEEE CCNC 2014, AusPDC 2014, AISC 2014, CCNC 2013, SecureComm 2013, SADFE 2013, MoMM 2013, IEEE CloudCom 2013, IEEE IWCMC 2013, IEEE ISCON 2013, SSCC 2013, EIDWT 2013, IEEE ICC 2013, IEEE GLOBECOM 2013, SECURWARE 2013, AusPDC 2013, NFSP 2013, ISPEC 2013, IEEE CloudCom 2012, ISPA 2012, ICICS 2012, NFSP 2012, SECURWARE 2012, ATC 2012, CGC 2012, IWCMC 2012, MUE 2012, Malware 2012, IEEE ICC 2012, IEEE CCNC 2012, AISC 2012, ISPEC 2012, Malware 2011, ICICS 2011, SADFE 2011, AISC 2011, IEEE ICC 2011, IEEE GLOBECOM 2011, PDCAT 2011, SECRYPT 2011, AusPDC 2011, Malware 2010, SECRYPT 2010, ATC 2010, PDCAT 2010, ICA3PP 2010, IEEE ICC 2010, IEEE GLOBECOM 2010, TSP 2010, MoMM2010, IEEE ICEBE 2010, AusPDC 2010, IEEE ICC 2009, IEEE GLOBECOM 2009, PAKDD 2009, SECRYPT 2009, RFID 2009, ATC 2009, SEWCN 2009, BROADNETS 2009, IEEE ICEBE 2009, TSP 2008, CSA 2008, IEEE ICIS 2008, IEEE GLOBECOM 2008, IFIP NPC 2008, ACIS/IEEE SNPD 2008, ICPADS 2007, IEEE ICC 2007, IEEE ICIS 2007, IEEE GLOBECOM 2006. SIT340/740 Research and Development in I.T.